Okay, so the idea of heroes and villains gets a little bit mixed up at times in Game of Thrones. Sometimes, we’ll be watching over a battlefield and not even know who we want to win. Unlike many fantasy narratives, Game of Thrones (for the most part), steers clear of the pure good versus pure evil narrative – Joffrey and Ramsay aside, of course! Yet when it comes to the White Walkers, we’ve long been led to believe we’re staring into the icy blue eyes of pure evil and despite their eerie silence, their intention to wreak diabolical havoc is clear. The white walkers were peacefully protesting before a stone was thrown. there are good people on both sides. It was you? You made the White Walkers? We were at war. We were being slaughtered. Our sacred trees cut down. We needed to defend ourselves. 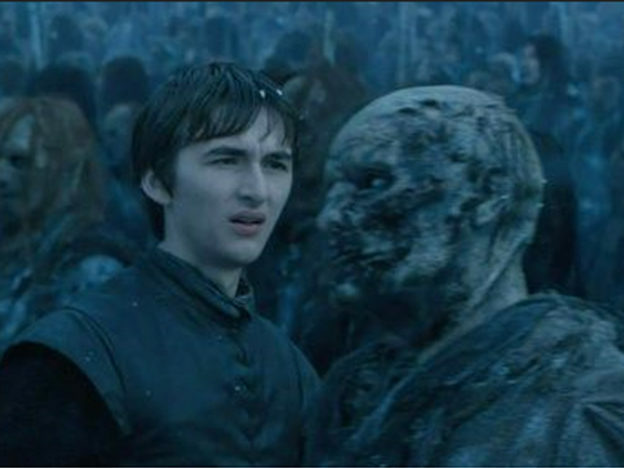 When Bran enquires ‘from whom?’ Leaf simply replies ‘from you’ and this conversation has since launched into an interesting and popular theory – Bran and the Night King are one and the same. The theory goes: the duplicity happened when Bran travelled back in time to become the Night King, after trying to prevent the White Walkers being created in the first place. Some even argue Bran deliberately became the Night King as a way of stopping the bitter infighting of the Houses of Westeros. Although a bit of a stretch, when you look at the show as a whole, there are a few clues which will make you pause for thought. It’s unclear where this theory originated from, however it can be traced back to a popular thread on Reddit, entitled The identity of the Night king (based on TV series-facts). In the season seven finale, most of us were just too shocked at the sight of the impenetrable wall being breached as easily as a garden fence to notice any pattern to the army of the dead. 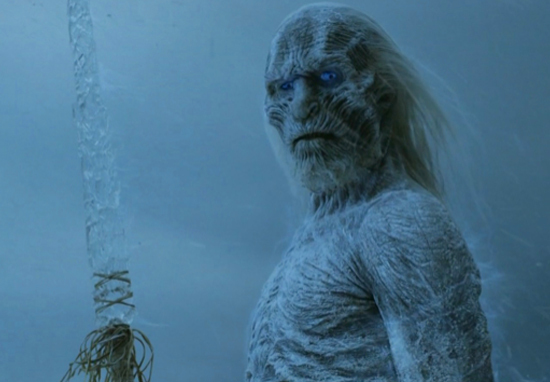 There are other examples of White Walkers behaving quite ‘Stark-ishly’. Remember back in season two when Sam hides behind the tiniest of rocks and survives a wight army, headed by a White Walker? The White Walker looks straight at him, yet doesn’t make any move to kill him. I like Sam, but there really wasn’t any immediate reason why this passing White Walker took a shine to him too. I sincerely doubt he’d been watching the sweet wolf themed meet-cute between Sam and Gilly at Craster’s keep. In his own bookish way, Sam has been integral to getting the message out about the White Walkers being a threat – his death would have meant this message would have been lost. Could it be the White Walker wanted to keep him alive to fulfill this destiny? Do the White Walkers ever speak to each other? Where do they sleep? What do they do for fun? Do their wives know they're up to no good?! This is something we saw in the first ever episode, when a group of Night’s Watchmen encounter the White Walkers. Over the seventh series, Bran’s half-brother/cousin Jon Snow has been able to unite many of the great Houses in the fight against the true enemy, the White Walkers. Only crazed Cersei is secretly opting out of the war in the North. Is this what Bran wanted all along? If only we could get the eighth season from the White Walkers’ perspective. What sort of romantic entanglements and rivalries would we see?